St Mirren have signed full-back Gary Irvine following the 30-year-old's release from Dundee. 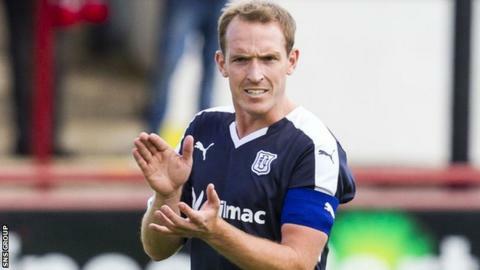 Irvine spent three seasons with St Johnstone before a move to Dens Park in 2010 but he has only featured in seven games this campaign. He has agreed a deal until the end of the season, with the option of another year. Left midfielder Alex Cooper has also joined the Buddies after securing an exit from Falkirk. The 24-year-old has signed on until May and both of the new arrivals will be in the squad for Saturday's Championship home fixture with Alloa. Meanwhile, midfielder Lewis McLear, 19, has joined Stirling Albion on loan until the end of the season.